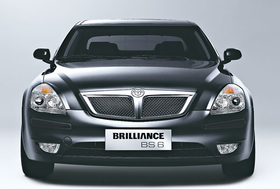 Brilliance won't say when it will resume European sales of the BS6 (shown) and BS4. MUNICH -- Brilliance China Automotive Holdings Ltd., BMW AG's joint-venture partner in China, has hired an executive from its former European distributor to run a new company that it wants to oversee its comeback in the market. Shenhua Europe GmbH, which was launched in April, has replaced HSO Motors Europe as Brilliance China's European distributor. Shenhua is based in Ginsheim, near Frankfurt, Germany, and its CEO is Eberhard Niering, a former vice president at HSO Motors, which has been dissolved. Niering is also an ex-manager of Hyundai Europe. Niering told Automotive News Europe that his company will serve more than 1,000 Brilliance car owners in Europe. "Our first priority is rebuild the aftersales network to provide warranty service and regular maintenance to the Brilliance owners in Europe," Niering said. When asked about plans to restart sales, Niering said it is part of the company's future strategy, but will not happen this year. "We are waiting for the right models," he said. A Brilliance executive in China told Reuters last month that the company would look to start sales again in Europe with products that could meet new EU emissions standards sometime in the future. "The BS4 and BS6 were made with Euro 4 specifications in mind. When we resume the exports we will come up with cars and meet the Euro 5 standards," the executive said. Brilliance has halted shipments of the BS4 and BS6 sedans. Hans-Ulrich Sachs, the chief of Brilliance's former European importer, said in March that sales were poor because Brilliance refused to cut prices. Brilliance originally hoped to sell about 30,000 cars a year in Europe. But from 2007 through 2009, it sold only 502 sedans, according to UK-based market researcher JATO Dynamics.